Two months after revealing that her third album would be released sometime “this year,” elusive and eternal fave Robyn made appearances at a pair of New York City events that may or may not mark the beginnings of a promotional cycle—her first in roughly seven years. “I started on my own, in my home studio, listening to music that I love, dancing and listening to beats. The new album has much more production work on my end, but I wanted to flesh it out a bit on my own before bringing other people into the process. Many, including myself, have been eagerly awaiting the studio version of a track called “Honey” since an unfinished snippet was used in the final season of Girls. Bootleg versions of the song found on YouTube and SoundCloud have been available for superfans (again, like myself) who have gladly suffered through Adam Driver’s dialogue about “unrefined sugar” for well over a year now in order to ingest the song’s sweet, sweet vibes. “Where’s honey?” has become a minor meme on Twitter, as fans take to the platform—often late on Thursday nights—to express their hopes that Robyn will surprise us all the following morning with an iTunes or Spotify link. It’s been fun to joke about, but it’s also been utter hell. 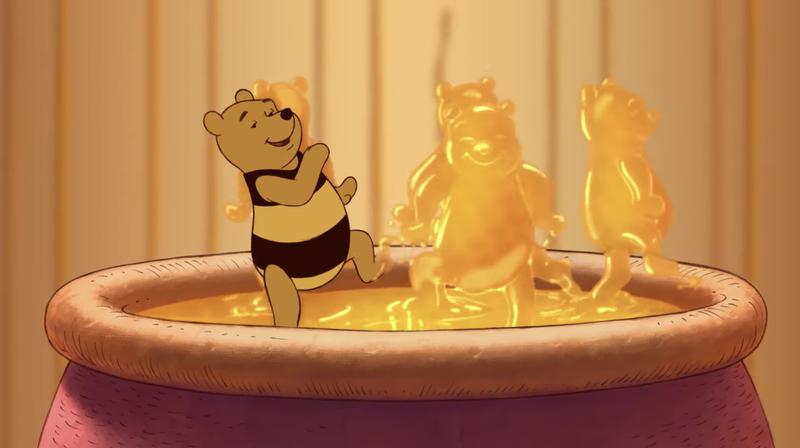 Would “Honey” change our lives? Would it mark the beginning of a new age? Would it save humanity from destruction? On Monday night, we came closer to an answer. In a surprise performance at a Robyn-themed party at Williamsburg’s Brooklyn Bowl, Robyn appeared onstage and played what might be the final version of the track for a room bursting with screaming, rabid fans. It’s not the same “Honey” we’re used to—it’s a full-on house track now—but it’s still something special. I’m hoping she drops the studio version soon, but am prepared to be clicking play on these tweets for the foreseeable future.